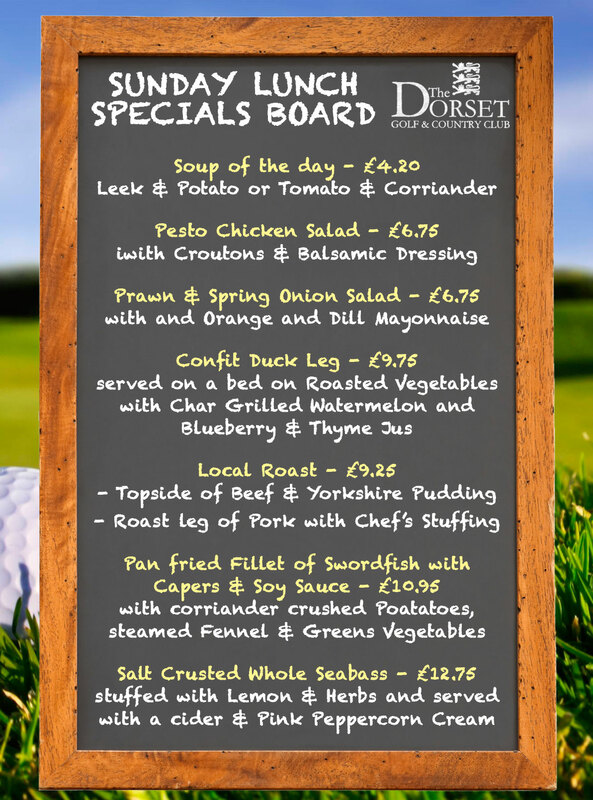 Our Sunday Lunch Specials Board Changes weekly (Example below). 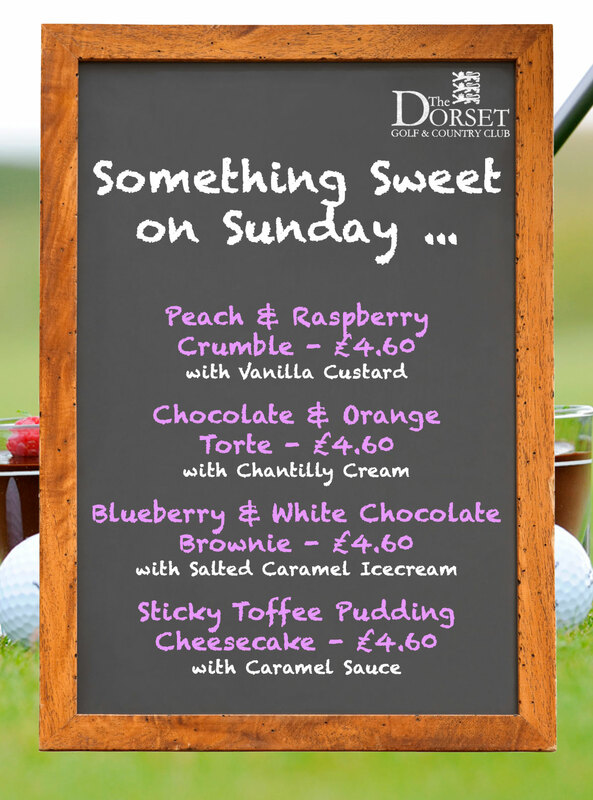 Remember this is in addition to our superb normal Bar Menu! Clubhouse reservations can be made for any time between Service hours and you may roll up anytime for Breakfast, Lunch or Dinner during service hours subject to availability. Make a Reservation for any day of the week!